The home price index rose 6 percent year-over-year in July 2016. The share of homes with negative equity in Q2 2016 was 7.1 percent. 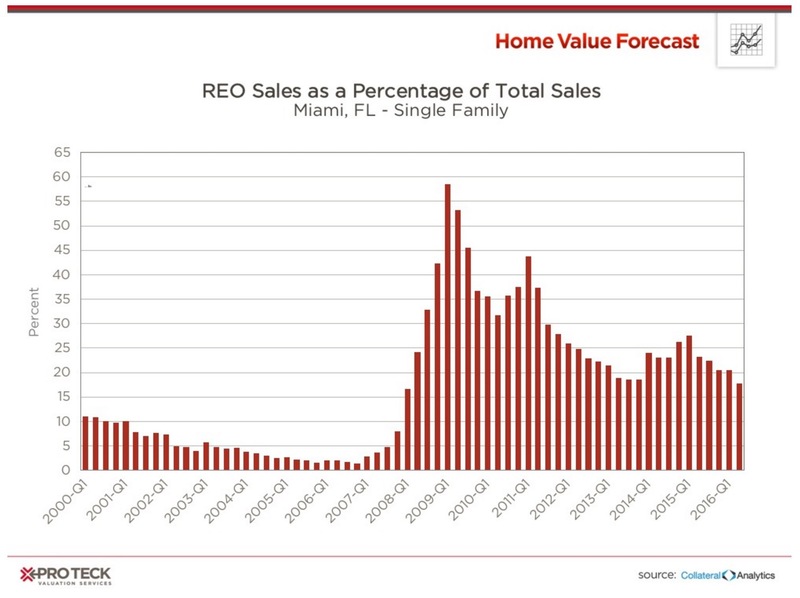 The share of homes sold that were classified as “distressed” was 7.8 percent. Mortgage applications decreased 0.7 percent from one week earlier on a seasonally adjusted basis, and decreased 1 percent on an unadjusted basis. The refinance share of mortgage activity decreased to 62.7 percent of total applications from 63.1 percent the previous week. 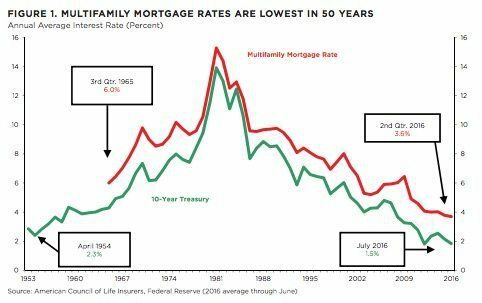 The average contract interest rate for 30-year fixed-rate mortgages with conforming loan balances decreased to 3.66 percent from 3.70 percent, with points decreasing to 0.33 from 0.38. The national MiMi is at 85.1 percent, unchanged from June 2016. On a year-over-year basis, the July MiMi improved 4.70 percent. Since the October 2010 all-time low, the national MiMi has rebounded 43 percent. In July, nearly 70 percent of the core-based statistical areas (CSBAs) tracked were listed as “normal” or above. In August, that number rose to more than 76 percent. Only 1.4 percent of CBSAs tracked came in at “weak” or “distressed” in August. There was a 5.1 percent annual gain in July. This is higher than the June 2016 gain of 5.0 percent. 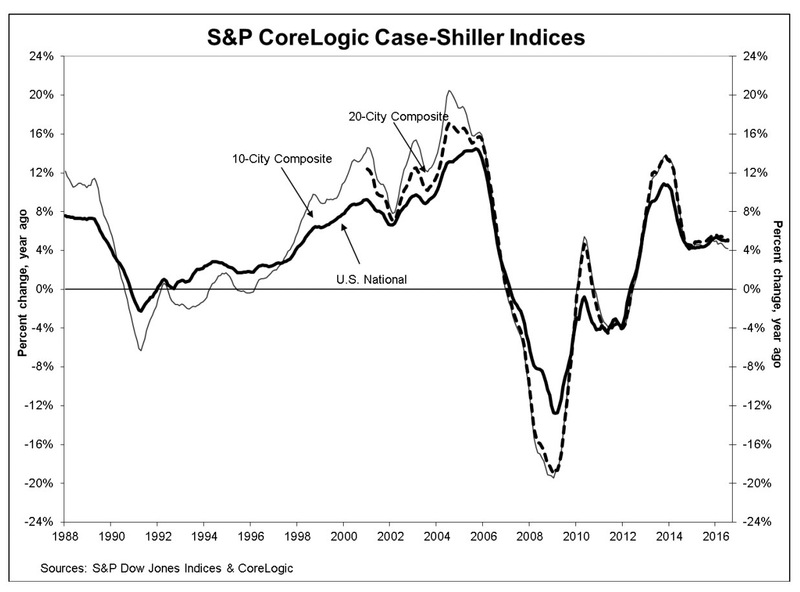 The 20-City Composite reported year-over-year gains of 5.0 percent, down from June’s 5.1 percent.